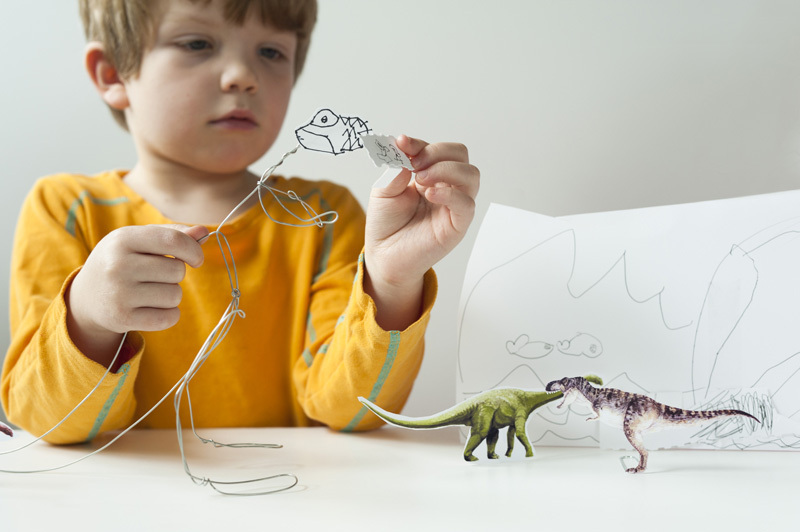 My son is really enjoying dinosaurs these days, so in case you have any dino-fans around, I thought I’d share some of the activities we’ve been doing – paper clip cutout toys, building dino skeletons in the yard, a pretty awesome interactive dinosaur book on the iPad, and jurassic artwork. 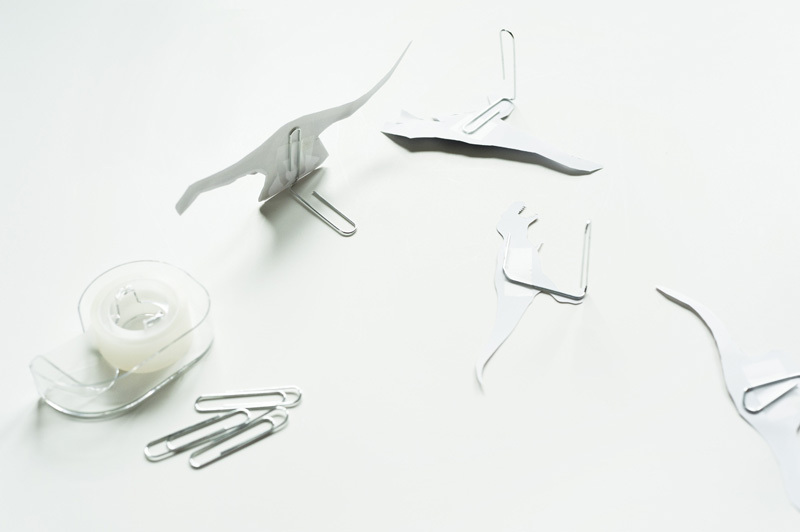 This first one is some simple paper clip cutout toys. I just did an image search for dinosaurs and let my son pick out which ones he wanted to printout. Then he cut them out himself and we taped a bent paper clip to the backs of them so they could stand up. (See images below.) My daughter also drew a background which we stood up with bent paper clips. 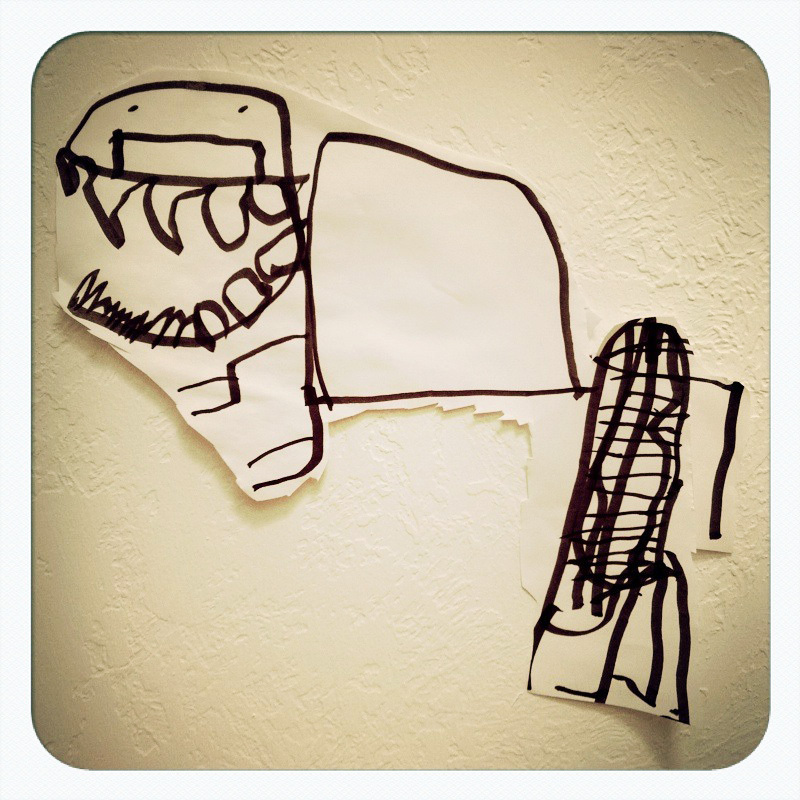 Finally, I tried to bend the shape of a T-Rex with some wire, and my son drew a head for it, which we taped on. Both of the kids really love playing with this set of paper toys and acting out exciting scenarios. We’ve been having a great time searching and digging for “dinosaur bones” in the yard, then trying to put together an entire skeleton. Finding the pieces you need to complete the skeleton makes for quite an exciting scavenger hunt. Sometimes we have to go out on walks through the neighborhood or to the park so we can find the right one. Good outdoor fun! 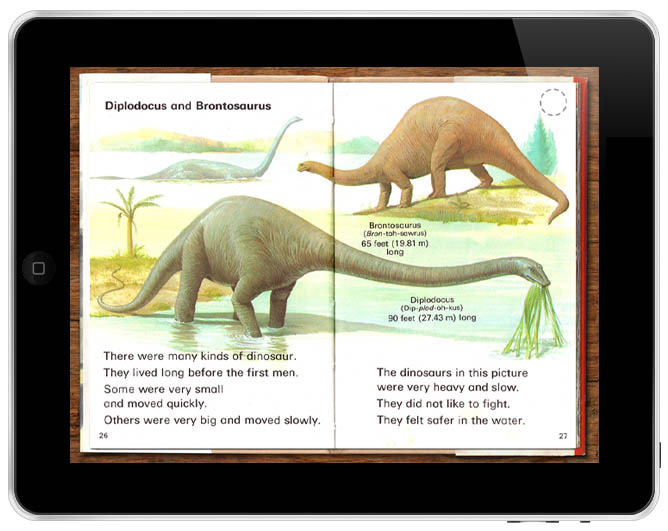 I was really excited to discover this interactive dinosaur book from Me Books. (As always, this is not a paid advertisement). And the twins are both totally fascinated by it. You can touch a dinosaur and it makes the noise that the animal might have sounded like. You can also touch the words, and it will read the text aloud, which is my favorite part, because now I can finally pronounce all of the tricky dinosaur names with confidence! Sweet. Check it out here if you’d like. Finally, it’s always great to just look at books or photos and get inspired to draw some dinosaurs on your own. Here are a couple drawings that my son did. One of them even for dad! Hope you have some jurassic fun! 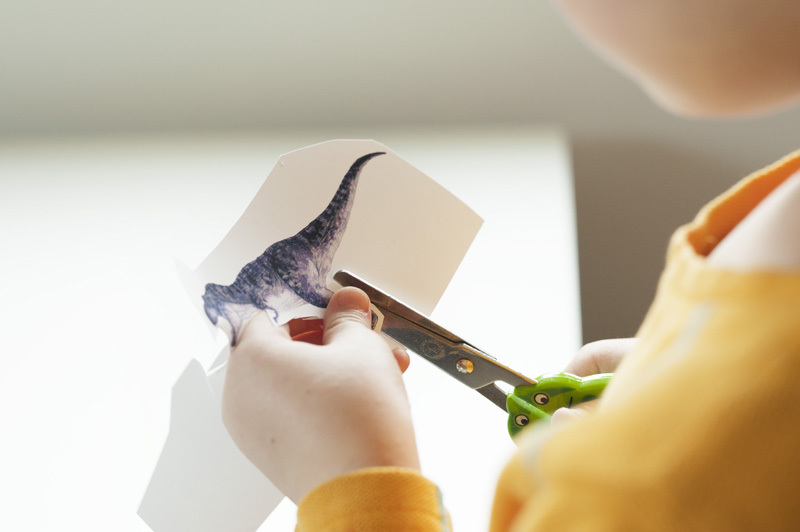 Also, I’d love to hear about any dinosaur activities that you do, so feel free to leave a comment and share them! Totally rad drawings! Love the last one the best, nice teeth! We've been experimenting with stuff like this for years, tughoh. And a lot of the genes that would need to be turned on in chickens already are on at certain points in life or have been tweaked.An example are the chickens that were bred to have feathered feet. On any other breed of chicken, their feet are covered in scales, but clearly they were bred to eventually have those scales give way to feathers. A fair amount of people assume if we can pull it one way through slow selective breeding, we can take it the other way by merely flicking the right genes on and off.Some species of birds while in embryo form have rudimentary teeth that disappear, and most species have bony tails that as the fetus develops, slowly shrinks to pudgy size that most birds have these days. If I recall correctly, there's even some baby birds that when born have vestigal claws on their wings that slowly atrophy as the bird grows older.It's not so much turning on random genes, but rather mapping the right genes that correlate with these developments, and coaxing them to stay on for longer than they were intended. 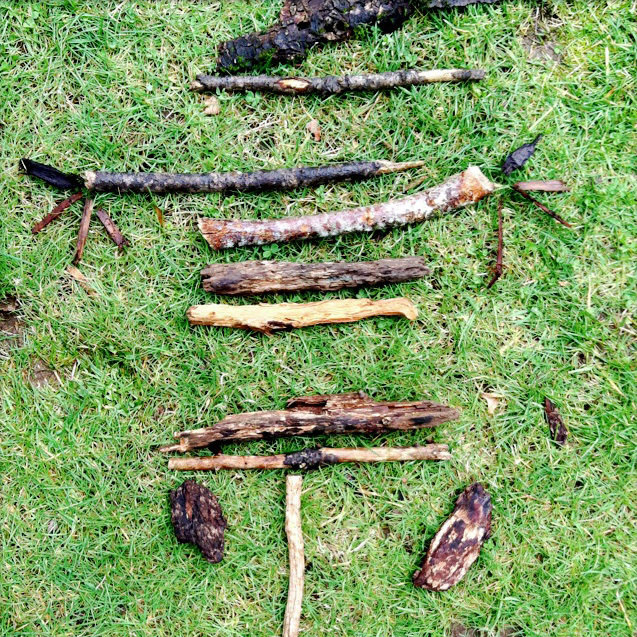 I love how you always make art interactive with kids. It is inspirational, and I thank you! Maybe you can check out my Tree Project with kids! Thanks! And I'd love to see your Tree Project. Do you have a link? Hello Joel, here is the link to my art tree project: http://hannahleeme.blogspot.com/2011/10/tree-project.html Thank you so much! I hide little dinosaur toys in plaster. When it is hard the kids have to break it to find what is inside. They feel like real paleontologists! They also love the prints the toy leaves in the plaster, real fossils! Thanks everyone! Cecilia - Awesome idea about the plaster. Where do you buy plaster anyway? Art stores? I buy it at hardware stores, it is probably cheaper than in art stores. Anyway in Mexico it is, you just have to make sure it is not the rough kind, I believe there is a finer grain. I found the same type idea already done at the dollar store one day. I bought a bunch of them and did it at my sons birthday party. We talked about paleontologist and how they have to be really careful when scraping to find the dinosaur. you should have seen the 8 or so 5-8 year olds scraping carefully to find their dinosaur. Greatest thing we ever did. I think making them yourself is an awesome idea! Coloring and then gluing feathers! Dromaeosaurus needs colorful feathers :) https://www.facebook.com/photo.php?fbid=171312459620249&l=01d84cd502 We do the fossil digging with a spade and a little brush. We find so many dinosaur eggs in our backyard (pebbles). 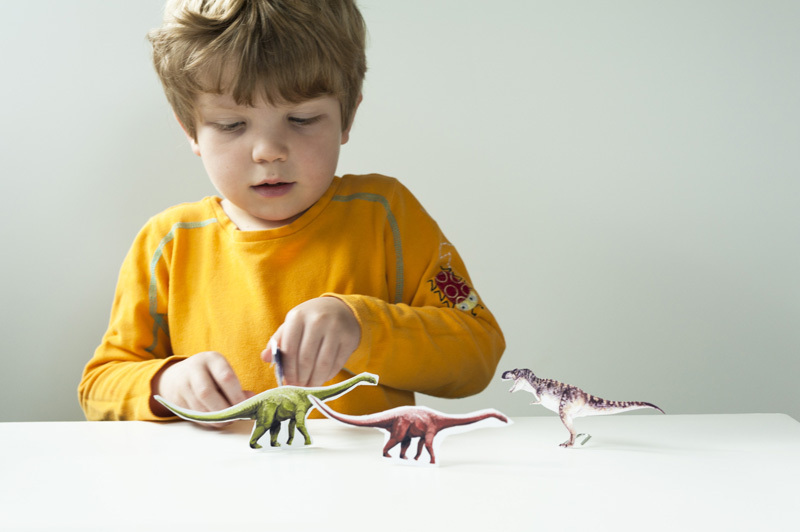 Hello Joel, Check out http://www.ungafakta.se/pyssel/klipp/vikdjur/ for dinos to fold. It's in swedish but think you can figure out what to do! These are awesome Charlotte! Thanks for sharing these! So many great options for dino play. ha! wow! thanks for the idea!!! Oh wonderful... I had a little guy that drew endless dinosaurs like the last one, thanks for the memory - off to dig them out!!! The paperclip din's are all kinds of crazy, awesome!!! We will most definitely be making these on the weekend. Also, love the pics. Thanks. Your "searching for dinosaur bones" brought up memories! My dad and I used to find rocks and make "dinosaur skeletons". Thanks everyone! Yeah, the kids really did a great job on this one! Just discovered you through "All for the boys" blog. As a mama of two boys (and one little girl) this project would be a huge hit in our home! Thanks for the idea! Off to view your other projects - looks awesome!! Where did you find the images you used for this project? I just found them in a google image search. If you have trouble, I can just email you the ones I got. I LOVE it!! 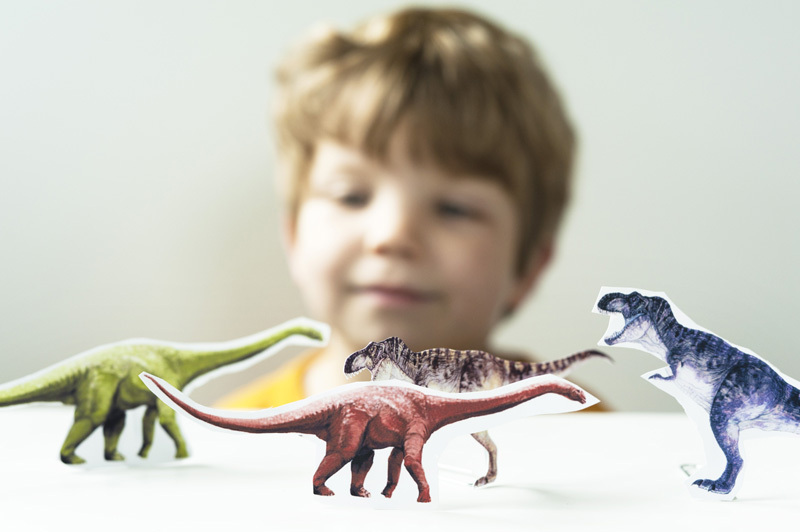 Would you be kind and send me these colorful Dinos? Seems fun. My son should love it. Ha, thanks Elin! Glad you like the book! Sorry, Judegirl, the poll closed a while ago. I have cengahd the post so that people know the voting is over. The winner was number 4, the one about the left hand, and I sent off all the prizes. Good luck on the next contest! Ha, we have dinosaurs crawling up the stairs every night, and then everybody have to run and hide under a blanket! A lot of fun. 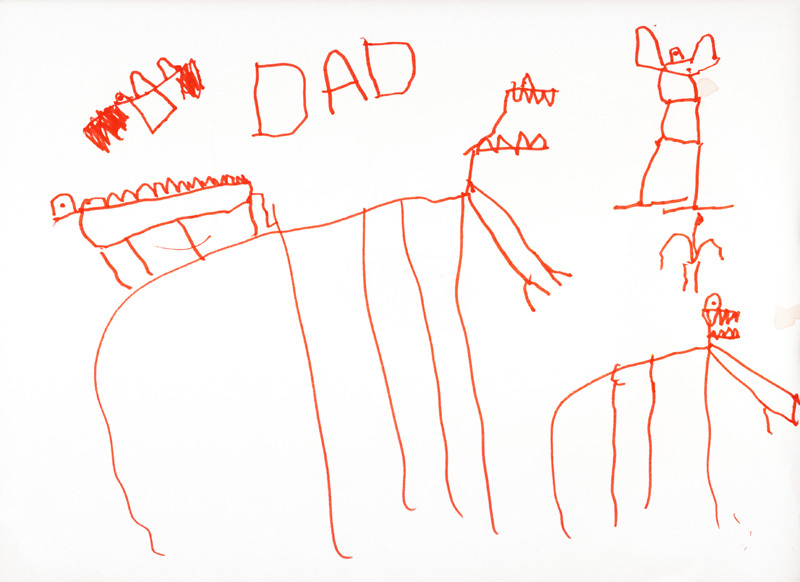 Love the drawing your son did, he has really captured the features with the big teeth and scary appearence. These are fantastic. Thanks for the simple idea of the paperclip. Love it! I think it's going to get a lot of use around our place. Cheers. Just visited your site again. Very awesome puppets Pete! I love your site. Waouh! It's amazing! You have always some great ideas! I've already "copied" some of your projects. Thanks a lot for everything! A french fan! Thanks Cheda! I just visited your site too. I love your little video of the bird mobile with the yellow background. Beautiful! Thanks a lot! I'm pleased to hear that! Hi Lucia, Thanks for the kind note! Glad your son liked the dinosaurs. 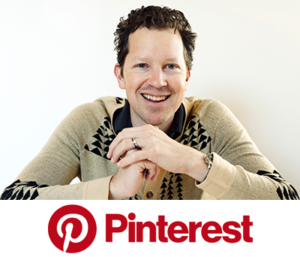 And thanks for the post on your blog too! Sharing this super idea on my Facebook page today :) Thank you!